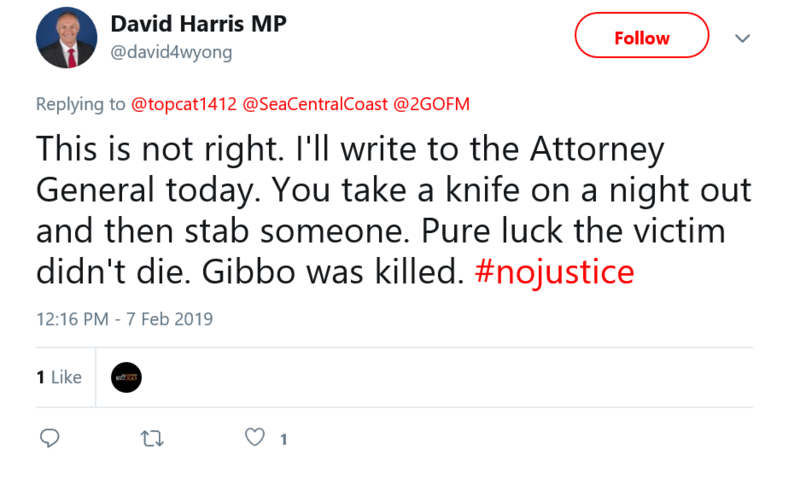 'It's not right' - No Jail Over Toukley Stabbing. 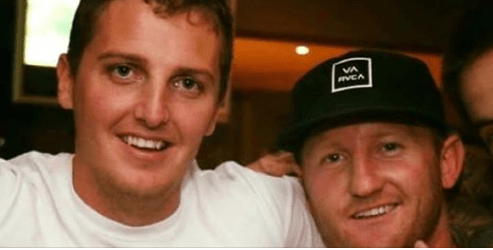 A man who was stabbed in Toukley on Easter Sunday in 2015 as his best mate lay dying has expressed his outrage after his attacker escaped jail time yesterday over a crime that left multiple families shattered. Joel Brooks was sentenced to 200 hours of community service yesterday after pleading guilty to a lesser charge of reckless wounding and common assault, but Adam 'Snitch' Swindell, the man he attacked, says the punishment doesn't match what he's gone through for the past four years. Joel's brother Bradley Brooks is currently serving a 22 year prison sentence for fatally stabbing Swindell's friend Greg Gibbons during the altercation outside a pizza shop....sparked when the two innocent men were escorting a woman past the Brooks brothers. The parties had previously spent time separately at the nearby Beachcomber Hotel. Above - Adam Swindell (left) and best mate Greg Gibbons. Swindell spoke with 2GO News today in a heart breaking interview.